The Catholic identity is evident in all 18 Diocese of Rochester Catholic Schools from beginning the day with morning prayer to community service projects that focus on helping the homeless and impoverished. 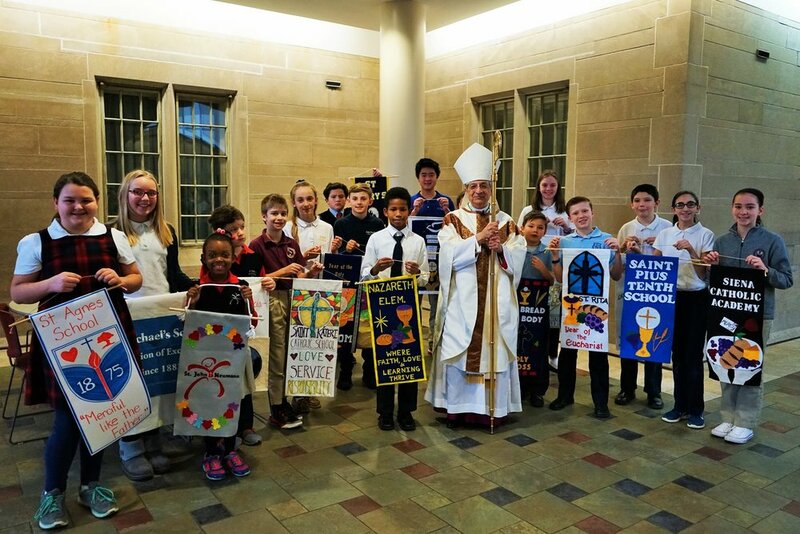 With Catholicity woven throughout our community we know that students will be welcomed into a caring community, taught Catholic traditions and common prayers, and participate in the Sacrifice of the Holy Mass. When students are welcomed and accepted into a warm community they are provided with the freedom to focus on academics, build friendships, and participate in service-learning projects.